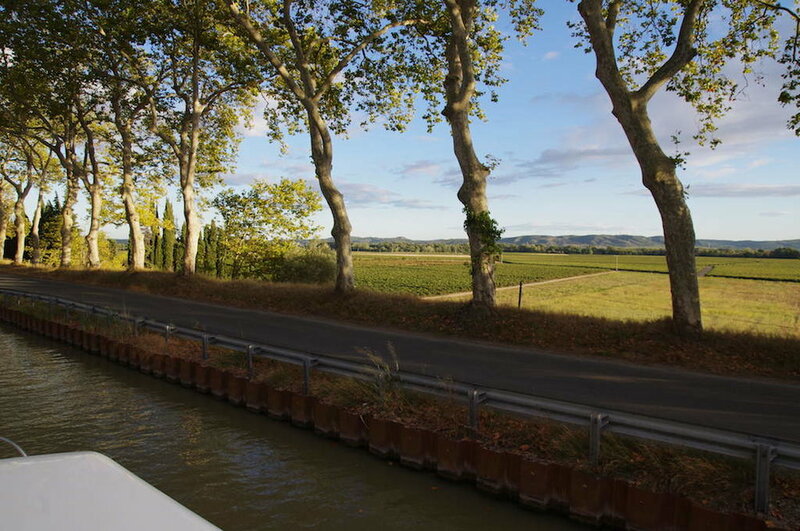 In October last year my husband and I spent five wonderful days cruising along the Canal du Midi in the sunny south of France. Cruising along by boat is a fantastic way to see the smaller towns and countryside from a waterside perspective at a relaxed pace. It was a different experience and a really pleasant way to escape the cities and wind down and enjoy the relaxed ambience of southern France. 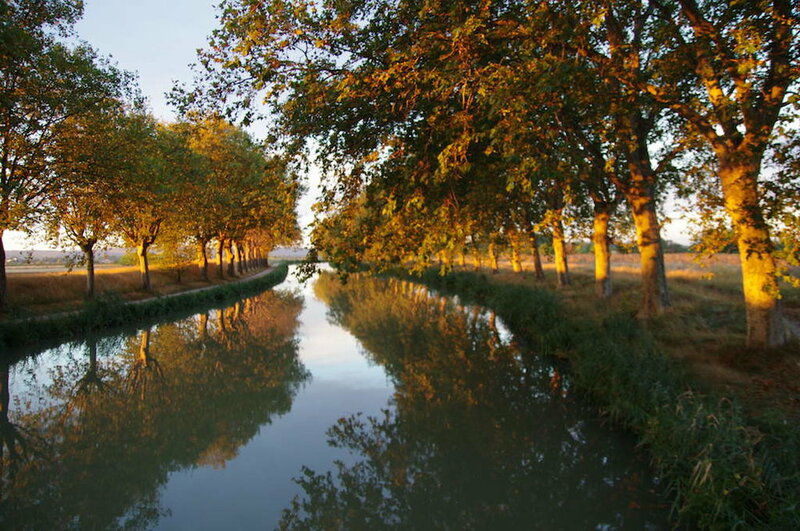 The Canal du Midi, built in the 17th century to connect the Atlantic with the Mediterranean is a UNESCO World Heritage Site. It’s a beautiful stretch of water that winds its way through sun-drenched valleys and gorgeous waterside villages. The Languedoc region is France’s most prolific wine producing region so there are vineyards galore and plenty of red, white and rosé to enjoy. The canal boats are easy to handle; no licence or previous experience is required. The speed limit along the canals is 10 knots so its certainly not high speed sailing. The boats are really well equipped with double bedded rooms, en-suites, kitchens, TV, stereo and living area. The upper deck has a table, umbrella and steering wheel so the driver doesn’t have to miss out on the sunshine, views and social atmosphere of the upper deck. 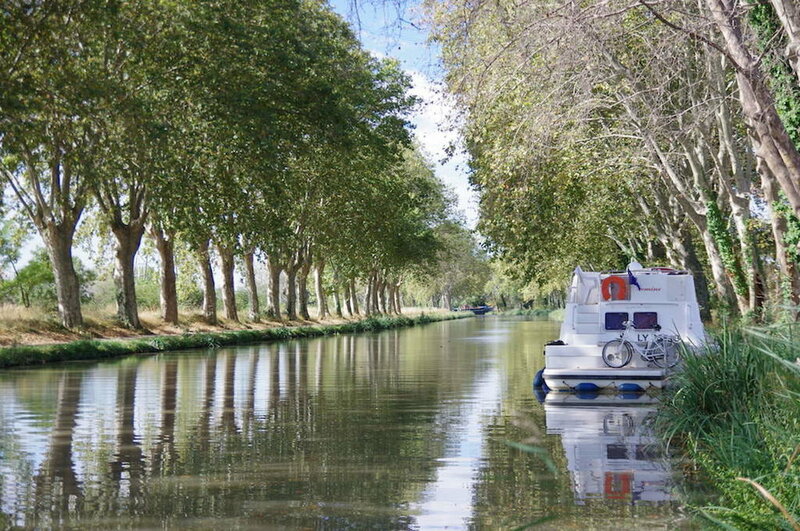 Canal du Midi is studded with towns so there are plenty of places to moor up for sightseeing or to visit the waterside restaurants. There are local markets in most of the towns. This is a great way to get amongst the locals and purchase some local specialities to enjoy on board your boat. There are also Caves du Vin for buying ridiculously cheap and delicious local wines. Push bikes come with most boat rentals or can be added on for a fee. We loved jumping on our bikes and heading off to the towns for a morning pain au chocolate and café au lait then heading back to our boat with a back pack full of wine, olives, cheese, some charcuterie and the ubiquitous baguette poking out the top! 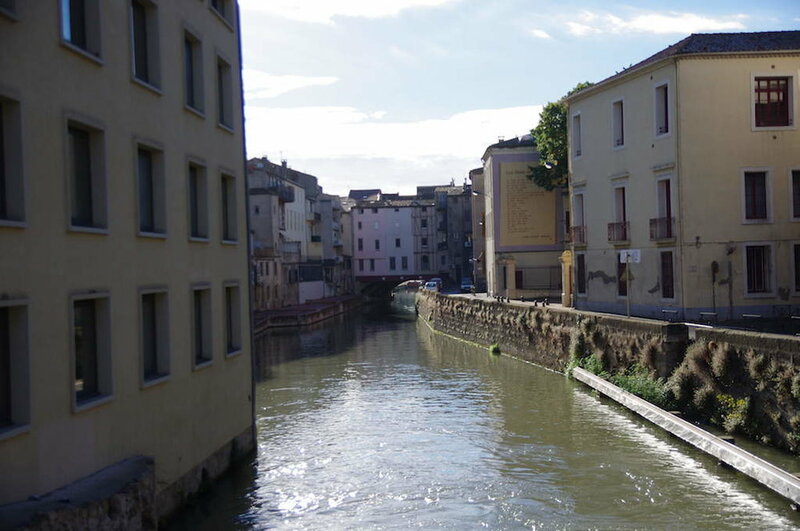 After a day of exploring wonderful villages such as the medieval walled city Carcassone, the honey-stoned town Castelnaudary, or the Roman town of Narbonne, it is so lovely to escape the crowds and cruise off down the canal to a quiet stretch of water with no one around. We loved mooring up on our own, next to endless fields of grape vines, waiting for the stars to appear. There is something very special and peaceful about ending the day with a glass of vin rouge on the deck of your own boat in a continent as populated as Europe and feel like you are all alone.